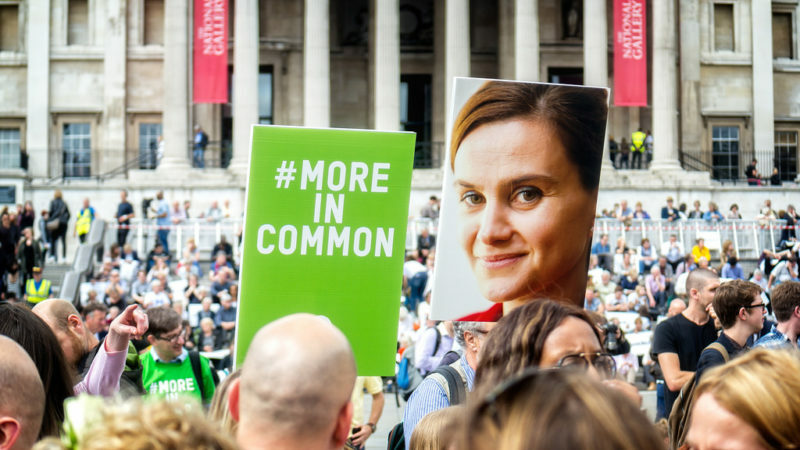 Action is finally being taken on loneliness, following the efforts of Jo Cox. But that work risks being undermined by other government policies. Last week, the findings of the largest ever study into loneliness were published – and there are some eye-opening figures. The study, which is now the subject of a Radio 4 series, has found that 40% of people aged 16-24 say they often feel lonely, with 29% of 65-74 year olds feeling the same way. The findings show the stark scale of loneliness in the UK across all ages in society. Loneliness is as bad for you as smoking 15 cigarettes a day and can increase the likelihood of mortality by 26%. It is a health issue for this country to fight now, and fight in the future. Charities like Age UK and the Campaign to End Loneliness are already doing just that. Through initiatives like the Great Get Together, organised events and informal discussion groups, human interactions are being forged that can change the day to day experiences of people across the country. As the findings of the Jo Cox Commission on Loneliness, which has spearheaded so much valuable work on the issue to date, put it – ‘one conversation at a time’ can make a difference to someone who feels lonely. But these charities at a local level cannot do it all by themselves. Following, at the recommendation of the Jo Cox Commission, the appointment of Tracey Crouch as the world’s first Minister for Loneliness, the government is also gearing up to publish its first ‘Loneliness Strategy’ this month. It’s a welcome move. But the strategy must recognise how the government’s own approach to local authority funding could hold back progress on the issue. Loneliness as a social issue is helped and hindered by the communities in which people exist. It is, therefore, hard to see how the Conservative government can properly tackle an issue that is rooted in people feeling disconnected from others when they persist on decimating the local services that are the very fabric of human interaction within our communities up and down the country. Cuts to local authority budgets and, subsequently, cuts to local public services have been – and are – brutal. A recent ITV study found that the number of adult day centres – which cater to, and bring together, the most vulnerable in our society – reduced by 41% across England between 2010 and 2018, while funding fell by 30% over the same period. Local community libraries and youth centres have also had an axe taken to them too as local authority budgets have been slashed. Young people often use these services. Just existing online, or mainly communicating through social media, is not enough to replace human, interpersonal, interaction for young people. The BBC study has found that those who reported feeling lonely have more online-only Facebook friends than those who do not, for example. Young people still need face to face time – not just FaceTime. So, when the government does come to publish the ‘Loneliness Strategy’, they must recognise that loneliness as an issue may involve feelings of isolation, but as an issue it doesn’t exist itself in isolation. They need to accept that their own policies are in danger of exasperating the very issue that they are, quite rightly, taking steps to tackle – and they need to review those policies at the same time. If they don’t, the people affected by this in local communities will not feel the full benefit of the strategy that is going to be put in place to support them. Because, quite simply, the local services they need to be able to rely on, and to provide a space for human interaction, just won’t be there. By publishing a Loneliness Strategy, the government has an opportunity to stop, reflect and ultimately change its current approach to local authorities and local authority funding. Let’s hope they take this opportunity. Loneliness is an urgent issue that, regardless of your political persuasion, must be confronted and dealt with right away. James English is a Labour Party member and was the party’s candidate for Beaconsfield at the 2017 General Election.